Many people tend to stick to big names when choosing a casino, but new ones shouldn’t be overlooked. In fact, they often offer incentives that older ones don’t. The problem is often one of trust – how can you be sure that a new casino isn’t a ripoff? There are a few foolproof ways to tell, if you’re willing to do a bit of digging, and it can be more than worth your time to do so. 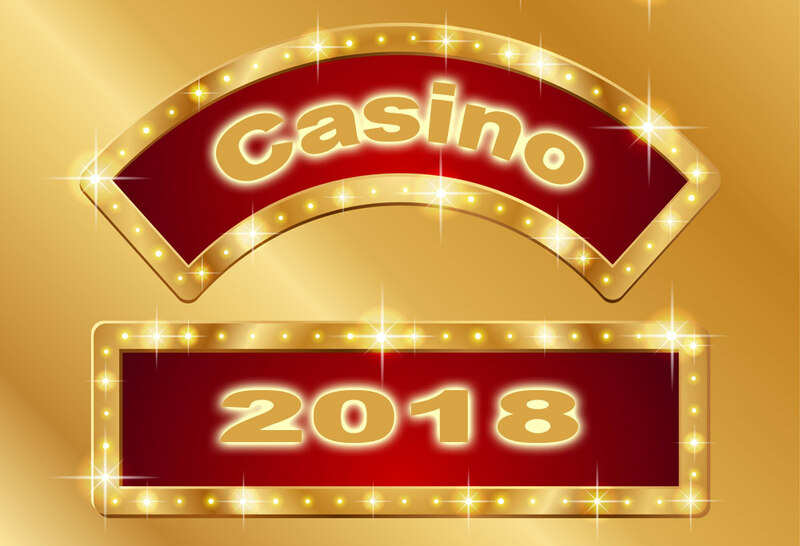 Firstly, let’s look at why new casino sites 2018 are worth a try. New UK casino sites have to try to compete with the big names, so they often offer better bonuses in order to bring in new custom. Some even offer bonuses with low or no wagering requirements that more established casinos usually demand. This is less frustrating for you and is more likely to make you a return customer, so both you and the casino win. New casinos usually offer other incentives as well – like cash back, or loyalty schemes. They want you to be satisfied with your gambling experience, so it’s in their interest to make you want to come back. Some older casinos do still offer loyalty schemes, but as their customer base is already well established they don’t tend to offer them to new customers as much. Many new UK casino sites offer free spins as well – this means you don’t need to deposit to play, and you can try the new casino for free without committing to it. You should find out if there are restrictions or wagering requirements associated with the free spins, but even with these restrictions it’s still worth giving them a try. Some free spins will only allow a player to win a certain amount, but others will let you have a shot at the jackpot so it’s always worth a look. How do I know this site is a genuine new casino? Before you look at all the great incentives new UK casino sites can offer you, you need to make sure that the site is legitimate. It might at first glance seem impossible to tell the difference between a legitimate new casino and a fake, but there are a few sure-fire ways you can tell. When doing your research into a new casino, don’t just use one of the following tips as any one on its own is not enough to make sure it’s genuine. Try several or all of the checks, and try to build up a picture of the site’s legitimacy. Above all, trust your gut – if something seems off, don’t risk your money. A genuine casino will have its licensing information clearly accessible and visible, so always check. Having a UK gambling license, or a seal that indicates legitimacy, is not always a guarantee in and of itself that the casino is genuine; but not having one at all is a very bad sign. Check the licensing jurisdiction as well – a license issued by the UK gambling commission, Malta, or the Isle of Man is a good sign. Many good casinos also have a seal from an independent regulator like eCOGRA, as a sign that they have been independently certified to be fair, honest, and secure. If a casino only offers one or two ways to pay, you might want to do a bit more digging. Genuine casinos offer many ways to pay, and if they offer PayPal then this is a good sign – PayPal are very stringent about who they do business with. If a casino only accepts Bitcoin or other pseudocurrency, steer clear. A fake casino does not want you to be easily able to get in touch with them! Find the site’s About Us page, and look for ways to contact them. A genuine casino usually has many ways you can get in touch, as well as ownership information, phone numbers and addresses. Have a look around a few forums and get some feedback from other players who compare casinos. A bad casino will be flagged pretty quickly. Of course, not all complaints about a casino will be reasonable – there will always be players frustrated about several losses in a row, but that doesn’t necessarily mean that the casino in question is a fake.